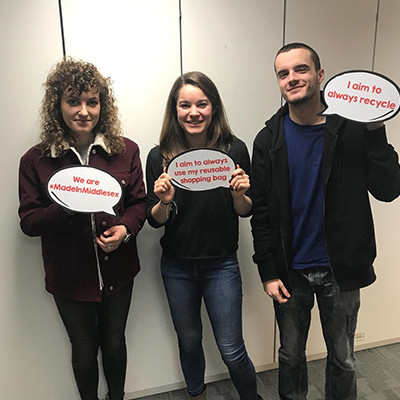 Taking place from the 28th January - 1st February, is an educational and fun-filled week-long event, aiming to showcase the many ways in which #TeamMDX is involved with different types of positive change. Across the 5 day period, you can come and take part in an array of activities all geared towards informing you as to how you can make a positive difference, both personally and academically. We are hugely proud to be able to highlight the great work that staff and students are doing through this celebration of change. The chance to make a personal promise on how you can make a change for the environment. You can even design your own pledge paddle and take a picture in our photobooth to let us know what change you would like to make. We have a yoga practitioner, Robyn McLaren, coming to teach a special yoga class to any students who want to get involved. Robyn says, "I am excited to be sharing a yoga class with everyone as part of Engage in Change week, giving students the tools to start to get present and build awareness to be the change they want to see in themselves, their attitudes, and their lives." You can find out more about Robyn here. Come along and try out a session - no experience or specific clothes needed. 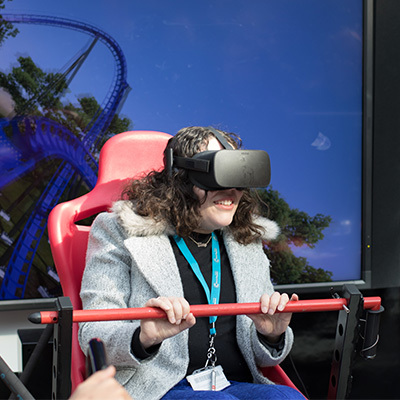 Our virtual reality rollercoaster will be set up, ready for you guys to test your bravery on this hair raising experience. There will be a panel of professionals who are all Middlesex alumni. You can come and speak to them and learn about how they became #MadeinMiddlesex and what this means to them. 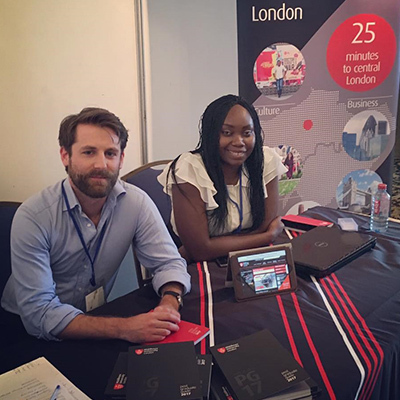 Graeme Tong, Regional Manager of Africa, says, "My MA Marketing Management degree has given me greater confidence in my current role and exposed me to ideas that have allowed me to implement more successful marketing strategies." Head over to talk to Graeme and our other alumni, working in various careers such as digital marketing and consultancy. To sample this and much, much more, come to the Quad every day next week (28th January - 1st February) to take part in celebrating different types of change at Middlesex.